Game description: When you work for the elite police unit Cobra 11 you are above the law. Burn up the streets in the pursuit of criminals - red lights and Give Way signs mean nothing to you. All that matters is that you arrest the bad guys whatever the cost. The highways and city streets of Europe are the modern urban combat zones patrolled by Cobra 11. High-speed chases, multiple pile-ups and dazzling stunts are all part of your daily routine. 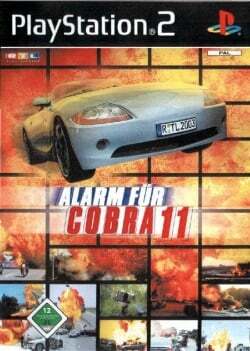 So take to the streets and be ready to answer the emergency call - Alarm for Cobra 11! This page was last edited on 18 April 2019, at 01:10.